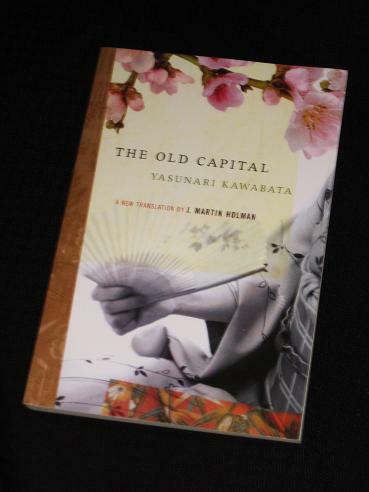 The Old Capital (revised 2006 translation by J. Martin Holman) is one of Yasunari Kawabata’s masterpieces. It is set in Kyoto in the 1950s and introduces the reader to Chieko, the adopted daughter of a traditional Kimono wholesaler. The beautiful young woman has known for some time that her mother and father are not her real parents, but discrepancies in the way they tell the story of her ‘kidnapping’ make her wonder what really happened. The Old Capital is one of the three works cited by the committee when awarding Kawabata the Nobel Prize, and it is easy to see why. It is a beautiful novel, typical of Kawabata’s work in the way it subtly explores the steady changes to traditional Japanese life. The story shows how post-war Japan is moving on, leaving certain aspects of its history and tradition behind. Traditional businesses are starting to fade away as imported business techniques take hold, and artisans struggle to find and train successors; the next generation is not always interested in continuing the traditions. This story is told against the backdrop of the beautiful city of Kyoto, and The Old Capital is full of luscious descriptions of nature. Every temple and festival has its own special flower – the weeping willows bow to the ground, the tall cedars tower over gravel walkways, their branches forming an awe-inspiring canopy above the people walking through the park… Kawabata contrasts the ephemeral nature of the blossoms, and the beauty of young women, with the lasting splendour of the mountains and temples. “Yes. For now I intend to be obedient,” Chieko answered without hesitation. “What about yourself? Don’t you have your own feelings?” Shin’ichi asked. I am beginning to at least see the breath of my ignorance when it comes to Japanese literature. I guess that's the first step towards acquiring some knowledge…? Read this some time ago, so my memories of it are becoming a little vague, so thanks for reminding me of it!. Must read another Kawabata this year..
Another on my list of books to read, having enjoyed others by this writer. Gary – Definitely one to try, one of the best of the ones of his I've read so far.